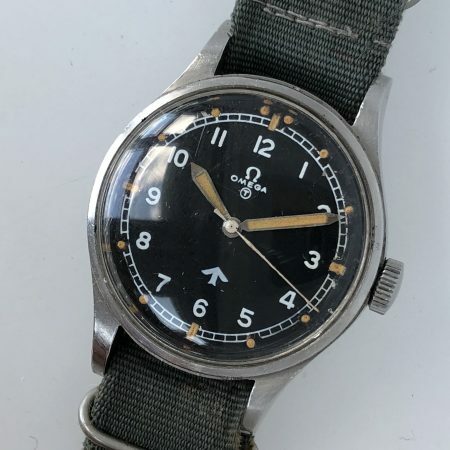 This is, without doubt, one of the nicest examples of these rarer WW2 Omega pilots watches that we have seen or owned. 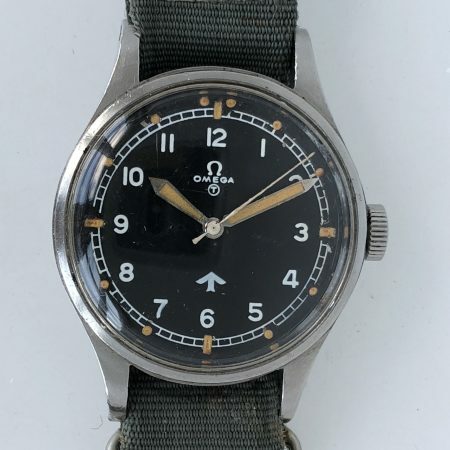 Issued to Navy pilots flying off aircraft carriers in WW2, these watches are beautiful yet robust with one of the best manual winding movements Omega ever produced, the famous cal. 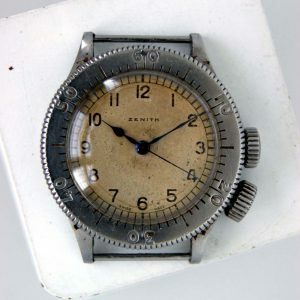 30T2. 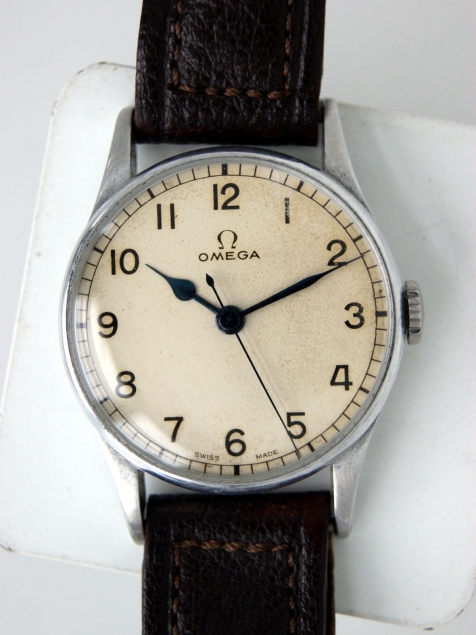 lovely original dial in perfect condition with rail-track minutes and blued-steel hands. 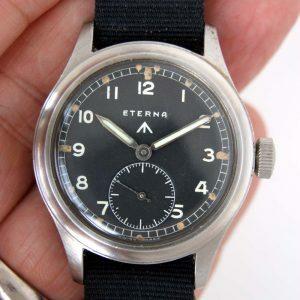 With its orignal alloy case in superb condition with full length fixed bar military lugsand military issue marking HS8 and Issue number 7149 stamped on the stainless steel case-back, this is a perfect piece of military history, ready for everyday wear!. 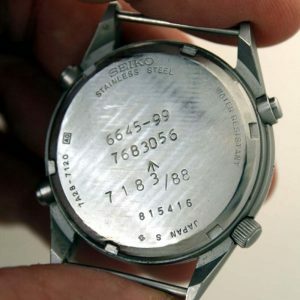 Case: Alloy Case with Stainless Steel Back with Military Issue Markings HS^8 7419 and Signed Fond Acier Inoxydable Omega Fab. 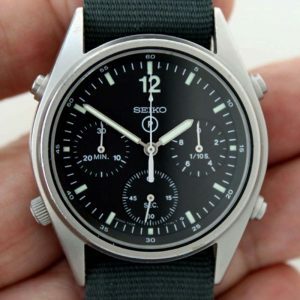 Suisse Swiss Made 2292. 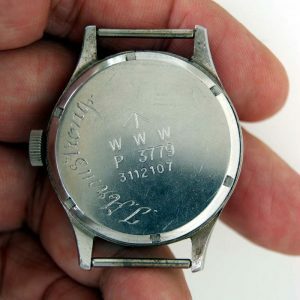 Original and Correct unsigned military winding crown.